C 005/006 Elanza Crest, B/h HOF showroom, Off Sindhubhavan Road, Bodakdev, Ahmedabad. His Brush stroke dance on Canvas. His subject therein celebrate. 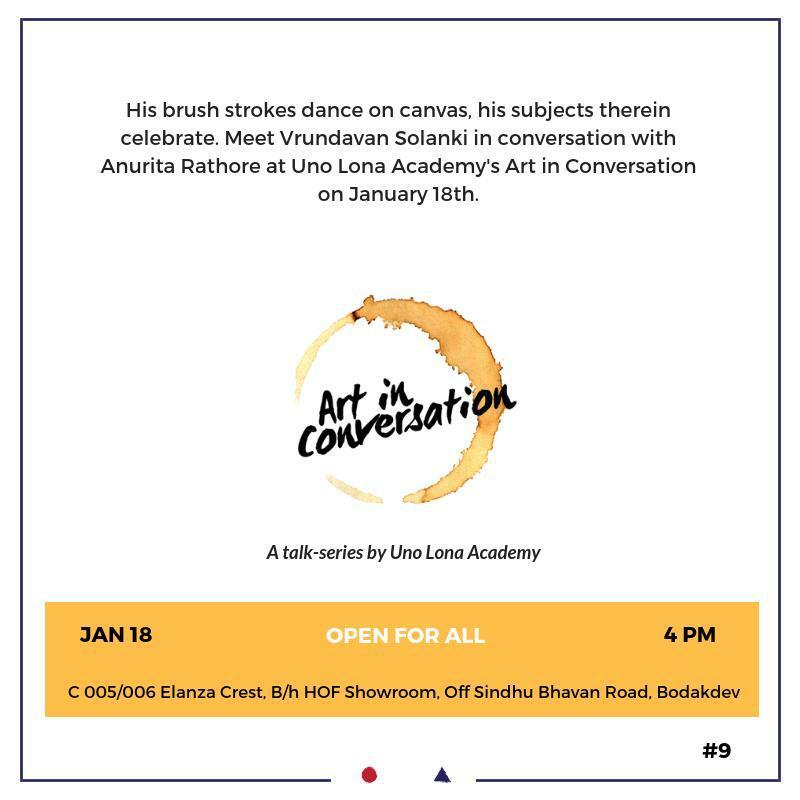 Meet Vrindavan Solanki in conversation with Anurita Rathore at Uno Lona Academy’s Art in conversation on 18th Jan.